Flannery O’Connor: A 50-Year Retrospective 2014. On November 6, Cistercian Preparatory School is hosting an interscholastic academic colloquium entitled “Flannery O’Connor: A 50-Year Retrospective.” This high school conference will explore and celebrate the writings of O’Connor (1925-1964) in this the 50th anniversary year of her death. O’Connor is one of the United States’ great authors, and Cistercian is proud to host ten schools and over one hundred students, many of whom will present original academic papers on O’Connor’s short stories. The keynote speaker is Ralph C. Wood, a theologian and notable O’Connor scholar. Dr. Wood currently teaches at Baylor University; he is an editorial board member of the Flannery O’Connor Review and author of Flannery O’Connor and the Christ-Haunted South . Videos for the following lectures have been posted on YouTube. What to Examine: The conference organizers have selected three very different short stories as the focus of the HSC, each one a challenging, humorous, and stark window into the heart of the Southern Renaissance. The stories are as follows: “A Good Man is Hard to Find”, “Good Country People”, and “Revelation”. See paper submission details for more information. All participating schools are responsible for their own students arriving and departing from Cistercian Preparatory School. Students whose papers are selected for presentation are asked to officially pre-register with Cistercian. A registration form will be emailed to the faculty sponsor. All other invited students will register the morning of the event. A faculty sponsor from each visiting school will make sure that his or her students are registered and that everyone from the visiting school receives an identification lanyard. The following outline of events for the High School Colloquium is currently tentative, but reflects the desire to offer many enrichment experiences for students and teachers alike. The Colloquium will comprise an introduction to the life and work of Flannery O’Connor, papers delivered by high school students followed by Q&A, a keynote lecture by a leading scholar on the work of Flannery O’Connor, and a catered lunch for student participants and faculty sponsors. 8:40-9:10 Opening Presentation: Fr. Gregory Schweers, O.Cist. *Lunch goes from 1:00-2:00. Students may take a lunch and depart our campus after 1:00, but we would encourage all participants to stay and engage in conversation for the full lunch hour. Please see the Official Schedule for details of the individual sessions. At the High School Colloquium a variety of O’Connor’s books will be for sale, both fiction and non-fiction. We will also be selling Ralph Wood’s study Flannery O’Connor and the Christ-Haunted South as well as a few souvenir items related to O’Connor, including postcards and bumper stickers straight from Andalusian Farm. Cash or Check Only. No credit card payments available. After the High School Colloquium, Dr. Wood is giving a lecture on O’Connor at the University of Dallas. The lecture will be held on Thursday, Nov. 6 at 7 PM in the Art History Auditorium at UD. The lecture title is “Flannery O’Connor, Fyodor Dostoevsky, and Christ Pantocrator.” See the linked promotional flyer for more details. Cistercian Preparatory School (grades 5-12) was founded with the aim of preparing talented boys for the colleges of their choice by challenging their minds with an excellent academic programs, molding their characters through the values of Catholic education, and offering them guidance with both understanding and discipline. As an outgrowth of Catholic monasticism, the School believes that individual growth in virtue and intellect is achieved in community. Cistercian Preparatory School offers talented and motivated young men a supportive community as a formative pathway for developing their strengths and facing their weaknesses for the good of their whole person, of the Church and of the world. The humble pursuit of academic excellence allows a particular academic discipline to become a source of truth and self-knowledge for both the individual and the community. Click on the title to download the paper. Eliza Davis - Beliefs: Enlightening or Imprisoning? David Huang - Is Ruby Really that Dark? Jack O’Toole - What Makes a Good Person? Website design by Andrew Tran. 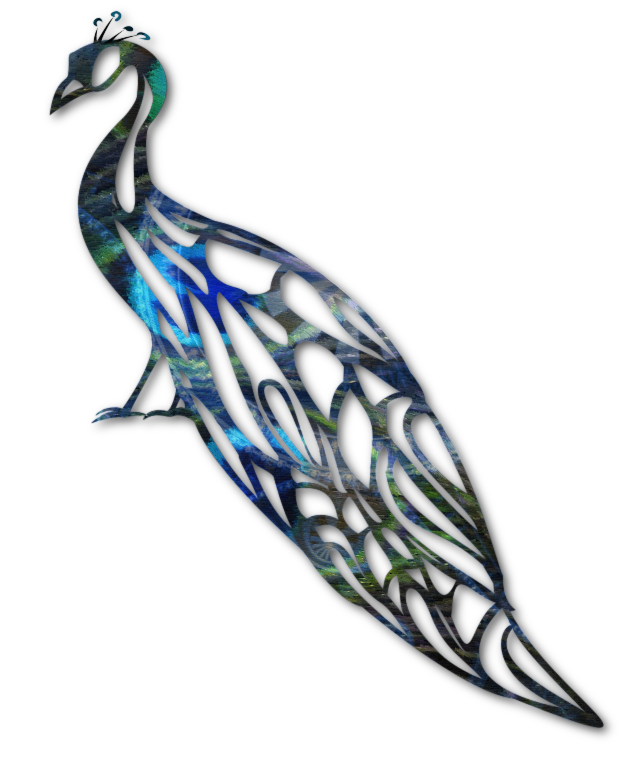 Peacock artwork by Joseph Nied.